Samsung will not push through with the Galaxy S III announcement for the Mobile World Congress this month, to the disappointment of Galaxy fans. But the mobile giant is brewing up a fresh line of new and improved gadgets. 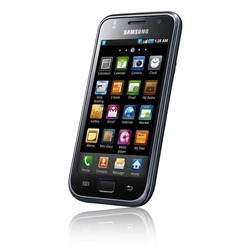 Rumors abound that there will be a Samsung Galaxy S II Plus, which is an improved version of its prior model. This handset is set to have a better and faster processor with a dual core 1.5HGZ. Its previous model is currently working on a dual core 1 GHz CPU. It is rumored to have a 4.5 inch Super AMOLED display, which is similar with the Galaxy S II Skyrocket. Next on the list, the Samsung Galaxy Nexus is also set to have its own upgrade with a better performance processor said to be better that its current model. It will run on a 1.5 GHz dual core CPU and can possibly have a better camera feature with an 8 megapixel cam. Still on the line are new models of Samsung tablets aptly named as P3100 and P5100. These tablets will have its Wi-Fi certificates on the fly and could possibly run on Ice Cream Sandwich on quad core. The P5100 is rumored to have a big 11.6 inch size or might retain its 7inch screen or the 10.1 inch. A quad core, big screen tablet really sounds pretty exciting. A few more weeks to go and we are pretty excited of the new gadgets Samsung and other mobile manufacturers will lay on the table for the coming Mobile Congress 2012 in Barcelona.